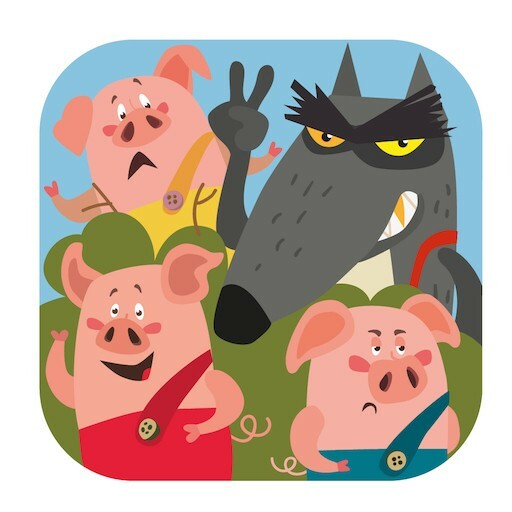 Experience the famous tale of “The Three Little Pigs” as reimagined in our new app bursting with never-before-seen features! 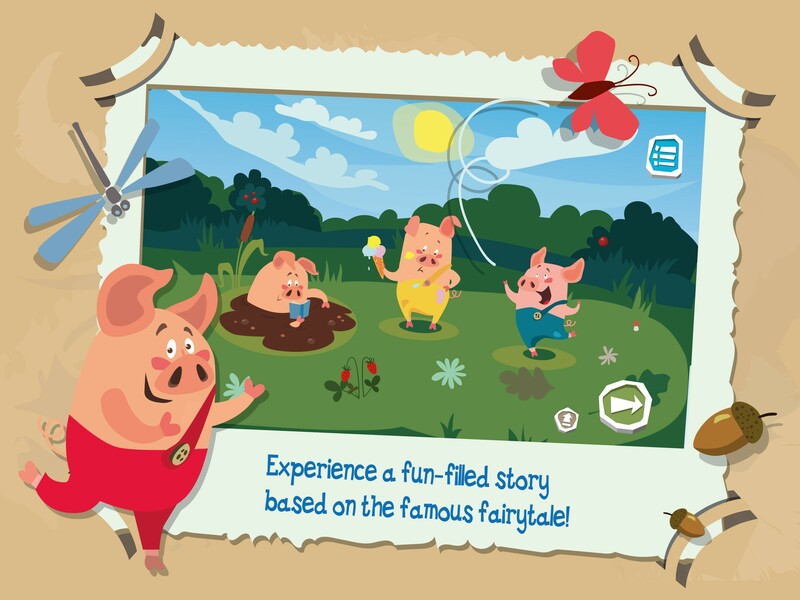 The app is especially for children of pre‑school to primary school age who are already learning about technology and mobile devices, and who enjoy fun and exciting fairy tales. Children are told the story in a play-filled and self-guided manner, encouraging them to create their own experiences. 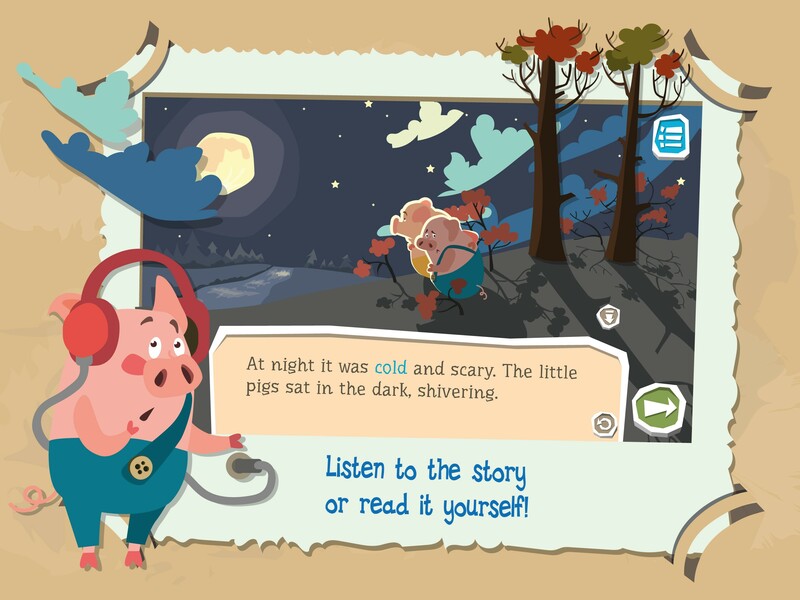 The app shares several qualities with traditional children’s books, while at the same time inspiring children to explore and interact with it in a number of different ways. The result is a play-filled and fun learning experience. The story itself is split into several scenes, each containing a learning goal. Children are encouraged to play an active part in the narrative, which is punctuated with questions and mini-games pitched at their age. 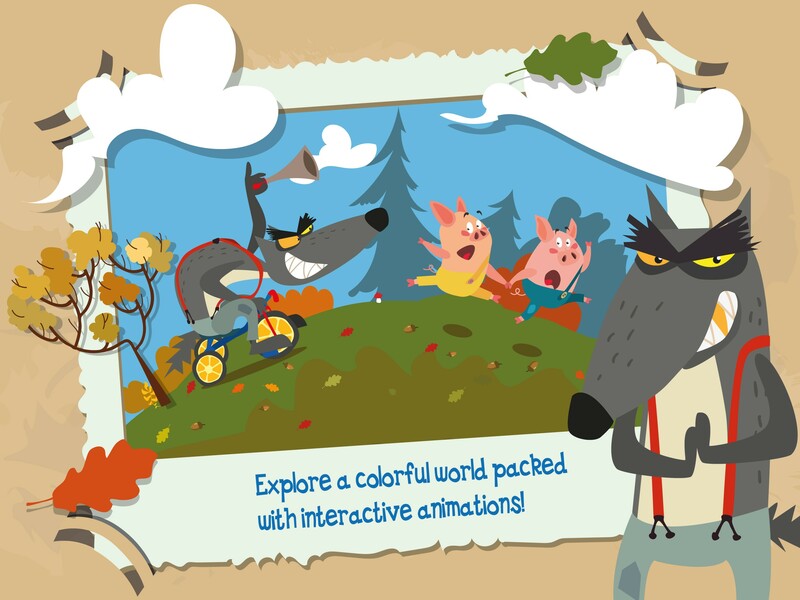 With its colorful, high-quality graphics and animations, “The Adventures of the Three Little Pigs” is a truly unique app. It is a safe and invaluable teaching tool for children who are just starting to get to grips with technology, as well as a personal development aid. 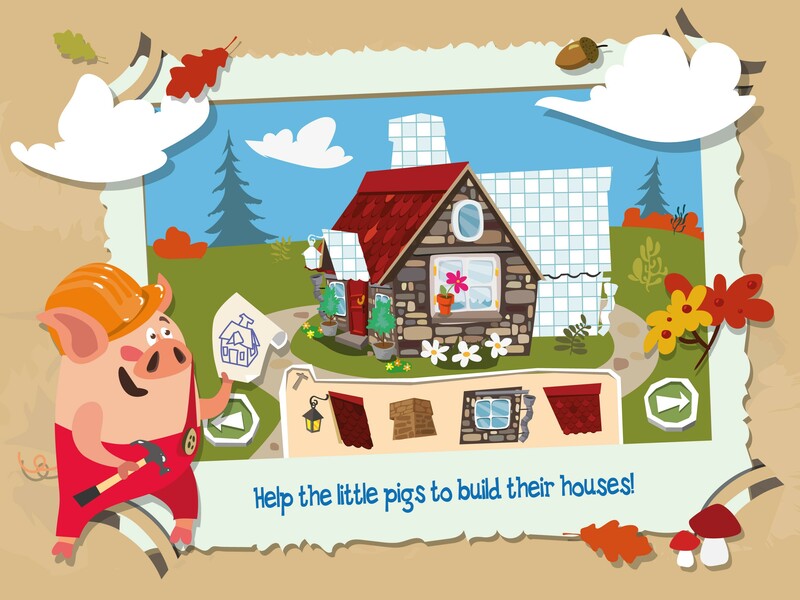 Relive and rediscover the story of “The Three Little Pigs” together with your child! From the very beginning, we wanted to create an app that parents and children could use together in order to enhance the learning experience. 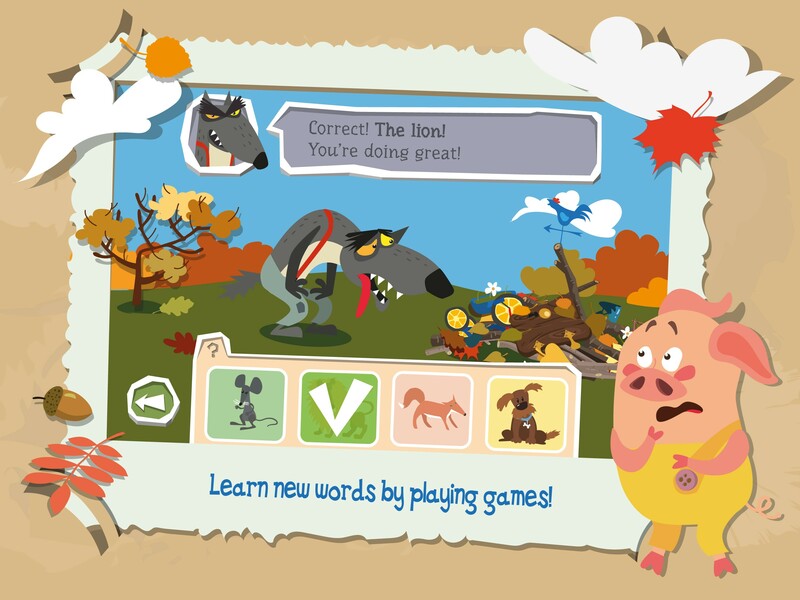 For that reason, particular attention was paid to ensuring that the app would appeal to young and old alike, and to building a world that was entertaining and engaging in equal measure. 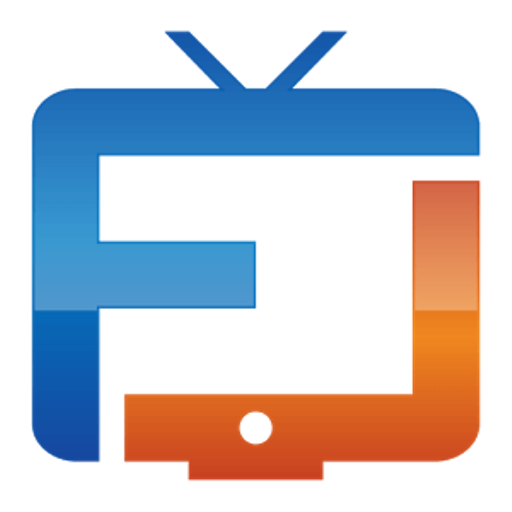 We look forward to your comments and ratings. More than anything else, we want to provide joy to children and satisfaction to our customers. 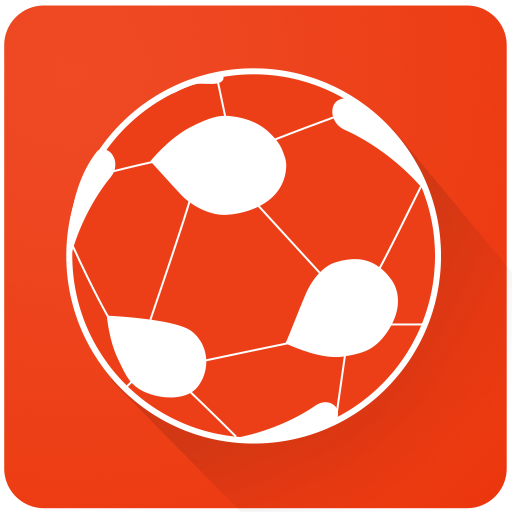 Your ideas will be essential to developing our app further.